If you want to learn how to transform your expertise into a thriving, digitally smart and value driven enterprise, come join us in iSuccess. I’m super excited to invite you into our world! iSuccess is all about helping you to transform your business from self-employed consultant or coach to strategic entrepreneur, and that means having a business that is on-purpose, in-service, super profitable, sustainable & scalable. If you have a big vision for the success you want to achieve in terms of influence, impact and income as a service-focused expert professional, we can help you with all the mindset, marketing and money elements. From my 14 years setting up and supporting small businesses, I’m a firm believer that entrepreneurship isn’t something that should be left to luck or done alone – so we’ve designed iSuccess to make sure you have the right support at the right time. Membership of the iSuccess Business Academy opens the vault to courses and workshops to help you grow your business. Each of our i-MODULES is essentially an ‘action learning project’ that delivers insightful training plus practical workbooks, guides, checklists & planners in our curriculum for building a successful service business. A 30-minute OVERVIEW VIDEO with PRESENTER NOTES to help you gain a clear perspective on the critical elements for laying foundations for success, aligning, targeting, positioning, branding, pricing, systematising and scaling your business. A LEARNING WORKBOOK to help you tackle practical step-by-step kind of stuff, this gives you the accountability you need to break through the wheel-spinning, crazy-frustrating mental barriers that typically keep us from pushing forward and achieving our true potential. A CHECKLIST or PLANNER to help you structure, plan and implement so you are building for business success. These are checklists, reflective exercises or action tasks that help you get things done so you can start seeing results right away. We are one of the few online education providers that back up your learning with individual mentoring programmes to suit your pace and needs. You can opt to purchase additional one-to-one support to fast-track your results. I’m really excited to be launching our first pilot course very soon and as one of our founding members, you’ll get a premium VIP level of one-to-one coaching support to ensure we understand where you are and where you want to get to, then keep you moving forward & deliver the outcomes you desire. So let’s keep in touch, get on the wait list and we’ll send you exclusive insights delivered straight to your inbox. Working together on your success! By opting in, you give us permission to send you updates and promotional offers for our iSuccess programmes. You can unsubscribe at any time. What does the iSuccess Curriculum cover? I established the iSuccess curriculum around 7-Dimensions of Success, a proprietary diagnostic system I’ve been using effectively for several years to support my face-to-face clients with typical business growth challenges. This is supported by preparatory modules about what success takes. iSuccess modules are organised across three levels each building out your business growth & success – Foundations, Clarity & Leverage. (a) your business strategy and profitable leverage points – some within and some out of your comfort zone! (b) current limiting beliefs and barriers that keep you spinning, frustrated and overwhelmed – some in your head! (c) critical elements in your marketing architecture – some familiar, some new! From there, you can work step-by-step in a structured way through the CLARITY and LEVERAGE programmes or you can dip in and out to suit where you’re at in your business right now. Either way, the courses are in effect “action learning projects” that will help you gain both the insights and implementation guidance so you can get things done and see results quickly. Typically, people get stuck at key decision-making points and need more understanding of, and help with pushing through, the mental and practical blockages, so we offer mentoring support add-ons to suit your needs in our most high value elements. The iSuccess Foundations course is a masterclass in strategy and mental preparation. It’s a critical first step on the journey we’ll take together where we explore and challenge perspectives on the principles for success as a strategic entrepreneur. Our Clarity and Leverage programmes take a deeper dive into the why, what and how of growing & scaling your business. We use checklists, templates, worksheets and action planners to help you implement what you’re learning. You’ll first aim to summarise the driving purpose behind what you do, consider your personal business objectives, current expertise & known obstacles, work on your unique value proposition, your expert system and the distinctive style & personality behind your business brand. From there, you’ll be guided to understanding ways to build out your marketing funnel that engages, educates and enrols your target audience, what’s involved in packaging your expertise into an online educational product, workshop or service. Once you have the pieces in place, we show you the operating processes and tools you need to systematise your marketing and scale up your business. You walk away with clear objectives and roadmap for how you want to grow your business. 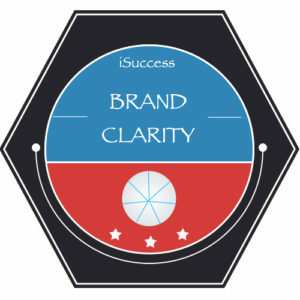 Clarity modules focus on getting you crystal clear on your professional business identity, profitable niche market & brand messaging – including crafting your unique offer for the products and services you deliver. Whether you’re just setting up your own business or you’re making a transition in your career or area of expertise, it can be hard to pin down who you are and what you do. We cover this in detail because it’s a major cornerstone for all of your marketing and customer engagement. Knowledge and capabilities can grow and evolve over our professional careers and life experience and we may feel our expertise is fragmented or needs a niche or label of some kind in order to market effectively to the specific audience we wish to serve. Clarity is critical so you’ll build on your work in Foundations to map things out – there’s usually a fair bit of soul searching involved! This introspection is super important work to closely (re)align your purpose and expertise with your ideal clients. You’ll map out exactly what you can/will deliver, research profitable markets, establish how you can best position yourself as an expert. You’re totally going to put the spotlight on what is your core business. You’ll finish with a coherent picture of your professional identity and clear brand messaging for your websites, products and services. Leverage modules are all about building a leveraged sustainable business – looking at your big vision, personal & financial objectives, creating branded programmes, creating marketing systems and implementing scalable operational processes for client quality management. Leverage is for people who already have clarity or who have worked through the Foundations & Clarity programmes. There’s not much to gain from implementing automated marketing systems if what you’re systematising and scaling isn’t clear! Having a “system” for how you help your clients means you can deliver your expertise in different ways so that you can achieve greater reach and new streams of revenue. When you combine automated marketing that is value-driven on the front-end with packaged programmes on the back-end, you have a streamlined process for engaging, educating and enrolling a consistent flow of clients. Your one-to-one, done-for-you and face-to-face work should be the premium-end of what you offer. You’ll end up with a clear client journey process to engage, educate and enrol new clients, identify your expert system and know how to turn it into a book and / or core “signature” programme to serve your target market and increase your influence, impact and income. In the iSuccess members area, there’s a wealth of e-learning courses and e-resources to support your business development and mostly you will be able to just work through and run with it. But for high achievers, I’ve found you tend to prefer a more intensive approach to working with me so you can fast-track and guarantee your results within a specific timeframe. So, good news for you, because I’m currently offering optional add-on mentoring packages to support you as you work through the iSuccess curriculum and progressively clarify, improve, leverage, grow & scale your business. The ACHIEVER programme is designed to support you in a very personalised way, month-by-month providing various levels of individual 1-to-1 mentoring, consultancy and coaching to suit your needs, pace and life at any given time. We’ll work very closely on strategy, mindset, marketing and money aspects of achieving your business growth goals. In our initial session, we’ll look at your vision of success, where you’re at currently, main challenges and barriers and so forth, and you’ll work on your why, what, who and when so you’re crystal clear where you need to focus your attention, time and effort going forward – no more overwhelm, confusion, going round in circles. Next, we’ll set out a directed action plan where you’ll use the specific iSuccess Business Academy modules plus some bonus supporting resources, templates I use with my own clients, tools I use in my own business, and apply those as appropriate to get your business architecture in place and build out from there. Our Achiever Programmes help you to fast track through the key phases focusing on achieving very specific results. Choose from Silver, Gold or Platinum monthly programmes or Diamond all-inclusive 12-week programme to suit the level of support you want to meet your needs. It’s super flexible – no long tie-ins – you can downgrade, upgrade, cancel or pause anytime to suit your needs and life. Get Clarity - Click to Start Now! Get Leveraged - Click to Start Now! Success tokens are part of our loyalty points scheme (coming soon!). You can redeem success tokens for a promo code on further purchases. Success Tokens are earned when you purchase an ACHIEVER programme from the iSuccess Business Academy. You can use these to redeem against VIP courses, extra 1-to-1 coaching sessions or critiques on your plans, website, learning designs, marketing copy etc.